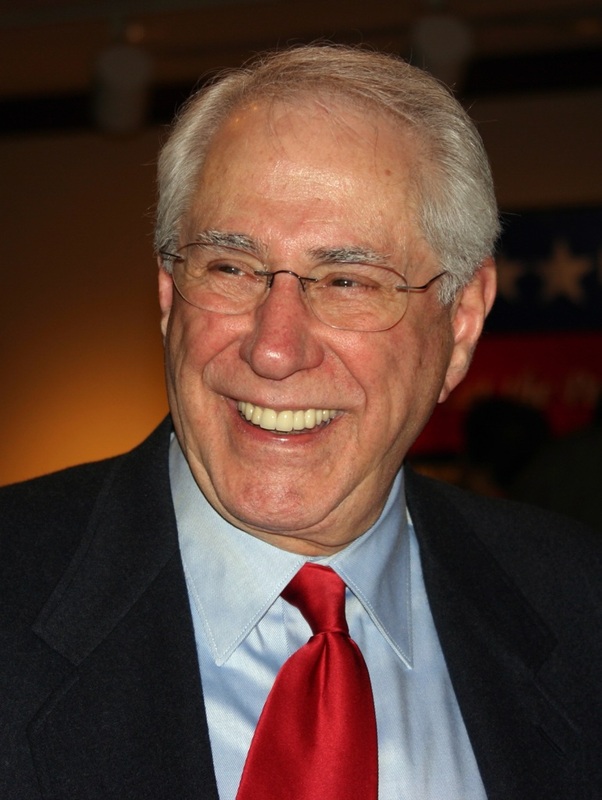 Earlier today, I had an opportunity to speak by telephone with Senator Mike Gravel, a presidential candidate who has switched from the Democratic Party to the Libertarian Party. Senator Gravel welcomed my questions, and I had a very positive impression of him. He is extremely well spoken, and quite passionate about many of the issues near and dear to the Libertarian Party. My purpose, of course, was to ascertain why he decided to switch parties, and whether he truly holds Libertarian views as opposed to only conveniently holding libertarian views in order to get the LP nomination. I quickly discovered that his most basic belief, which he has provably held for over 30 years, is thoroughly libertarian: the right of the American people to bypass and even overturn Congress and the President, when those elected officials act in contradiction to the will of the people. Senator Gravel believes that “the American people are not empowered to do anything, and this is wrong.” He therefore believes Americans should have the ability to directly make laws through federal ballot initiatives. At present, many states allow citizens to present laws directly through initiatives which, if supported widely enough, will be placed on the ballot to potentially become law; an example of this is Proposition 215, which legalized medical marijuana in California. Senator Gravel believes citizens should be able to do the same thing on the federal level, under his National Initiative For Democracy. The government is a tool, the people can use it. But if the people have the direct power to use it, then you’re going to see the government as a real tool, not the tool you have when the special interests determine how the tool of government is handled, by the lobbyists, who pay for the campaigns, who manipulate you to vote for them. That’s the process that has to change. When he says that the government has the duty to release information to the public, so they can make sound decisions, he is not blowing smoke, nor is he promoting something he hasn’t already done himself. During the Vietnam War, Senator Gravel released the Pentagon Papers, reading thousands of pages into the Congressional Record, so that Americans would finally know the truth behind that war; and his defiance, by informing Americans of information which was previously viewed as classified, was a pivotal moment in American history. Under his National Initiative For Democracy we, as citizens, could end the war, end the federal income tax, or pass a federal law allowing Americans to carry guns openly; we could make any law we want, as long as there is sufficient citizen support for it. Senator Gravel says that “the real power in this country does not lie with the leadership, with Congress or with the President; it lies with you, the American citizen”. This program would in fact become an important part of the checks and balances system, which Senator Gravel believes should have been in force from the beginning, so citizens could more easily keep Congress and the President in check. Talking war with Senator Gravel, for someone my age who lived during Vietnam, is like getting into a time machine, and going back to the last destructive war this country faced, when he forced a filibuster to end the draft, and thus end the Vietnam war. Senator Gravel was a maverick, and he defied Congress again and again. As you may recall, even before we sent troops to Iraq, he warned the American public that there were no WMDs in Iraq. I asked him why, in his opinion, President Bush lied about the presence of WMDs. “Oil. He wanted to get control of the oil, and it’s all just more American imperialism and the military-industrial complex.” He went a step further, and agreed that Bush and Cheney should not only be impeached, but that they should face trial for war crimes. “Americans must stop thinking we’re above the law,” he stated. He believes that the United States should stop getting involved in foreign conflicts altogether, and “stop being the world’s policeman”. As for those in prison for drug offenses, he would educate nonviolent drug offenders – whether it’s a college degree or technical training – then grant them a full pardon so they can not only be released from prison, but also have the tools they need to immediately become fully productive members of society. He is for Second Amendment rights, saying “I have a weapon, and I’ll fight to keep it.” Insofar as how openly Americans should be able to carry weapons, he referred me back to the federal ballot initiative, saying that the American people should decide that issue. I could actually hear the thrill in his voice when one question pointed out that libertarians are, by and large, for open borders. He believes that we have so many illegal immigrants here because our own laws caused them to not have work available in their own country; he states that 1.3 million farming jobs were lost in Mexico when NAFTA was passed. For that reason, he believes repealing NAFTA would cure most of the illegal immigration, as more jobs are created in their home countries. As for those who are already here and don’t want to leave, he wants to simply “put them on the path to citizenship.” He believes that we should create completely open borders, similar to what is in place in Europe, whereby citizens could cross into or from Canada or Mexico, with no questions asked. It is undeniable that the federal government is deeply in debt, and must raise revenue. Senator Gravel, however, is opposed to the income tax, since it over-taxes the poor and middle-class, and grossly undertaxes the wealthy. He therefore proposes dismantling the IRS altogether. He would replace the income tax with a 23% sales tax, and give a rebate each month to every American family to pay for necessities. Senator Gravel believes that this would allow the poor and middle class, who spend mostly on necessities such as food and housing, to have far more disposable income. He believes this program will create the same amount of federal revenue, but in a manner which is far more fair to the poor and working class. “I don’t know whether it’s a step to end taxation, but at this point it is a good way to fund needed revenue. Right now we tax income and investments, and investment income is taxed at a lower rate than income. We don’t tax the wealthy, and that’s what’s wrong with our system.” He again reiterated that the American people could make the final decision regarding whether federal taxation should eventually end, through his ballot initiative program. Senator Gravel believes that Social Security funds should be left alone, rather than used by the government for other purposes as is now the norm. At this point, most Americans have already paid into Social Security. He wants everyone’s Social Security funds invested in the free market, and he wants everyone to get an accounting of their money and interest earned, just as if they had invested it with a bank; and if they die before spending what they have invested and earned, he believes that the surplus in their Social Security account should go to their heirs. As for private investments, he believes his sales tax program with refunds for necessities will give the average American the additional funds needed to save in an IRA or other investment vehicle, as additional retirement savings to supplement what they have already put into Social Security. He is aware that many libertarians are against Universal Health Care, but believes his plan will meet libertarian standards. He came up with the idea of a Healthcare Security System 30 years ago. Senator Gravel pointed out that he knows the healthcare system “up front and personal”. One year, he ended up with over $150,000 in healthcare costs, and went bankrupt as a result. He believes the Democratic health care plan, wherein businesses are forced to provide health insurance for their employees, is “the wrong way to go, because it is not the responsibility of businesses to provide healthcare; their job is to be competitive in the global marketplace.” So instead, he wants to enact a Universal Single Payor Voucher plan, similar to the plan which the Veterans Administration has in place. Every American would be given a health care voucher. The vouchers would have a very modest co-pay, and a very modest deductible. Americans would have their choice of hospitals, their choice of doctors, and a choice of five or six plans. There would be no exclusions for preexisting conditions. He doesn’t think we need to raise taxes in order to provide health care for all Americans; we just need to make our healthcare system considerably more efficient than it is at present. He believes that if we computerize healthcare records, it will streamline the system, because he says 30% of healthcare cost is in paperwork. He intends to provide every American with basic healthcare services, and if they want more or different coverage, they can choose to buy additional or supplemental plans in the free market. He is aware of Ron Paul’s belief that the Federal Reserve is responsible for the inflationary effects which are harmful to poor and middle-class Americans. Senator Gravel wants to reexamine the Federal Reserve, and study the gold standard with an eye toward a global monetary system, which will better protect the value of our money in a global marketplace. Senator Gravel was pivotal in shepherding the Alaska Pipeline though Congress, but at this point he would oppose any effort to drill for oil in the Alaskan Wildlife Preserve. He states that instead, he wants us to end our dependence upon oil within five years. His goal would be to replace oil with alternative energy sources. All in all, Senator Gravel impressed me as sincere, intelligent, and passionate about libertarian issues. I did not at all get the impression that he is a pseudo-libertarian; I think he’s the real deal, because his actions even decades ago indicated that he is a libertarian. He left the Democratic Party because he realized that they are not receptive to his ballot initiative plan, and are not in agreement with his healthcare plan, his opposition to the War on Drugs, and many other issues. He has the presence, he has the speaking ability and dynamic personality, and he has the name recognition and contacts to place us on a more even playing field. The Democrats’ loss may very well be our gain. Senator Gravel suggested that those interested in more information about his views read his book “Citizen Power: A Mandate For Change”, which can be ordered online here. It is also available on Amazon.com, but their new book price is actually several dollars higher than the price on his website. Amazon’s description of the book is as follows. As author of Citizen Power in 1971, Senator Mike Gravel determined that much of what he wrote then is apropos in America today; hence, the release of Citizen Power: A Mandate for Change that reflects the accuracy of his evaluation of problems then, his current position on a number of issues facing America now, and the process that Americans can undertake to become empowered as lawmakers in partnership with their elected officials. Most chapters of Citizen Power: A Mandate for Change present material from the original book, as well as new information and revised positions. The exceptions are Chapter 2: The National Initiative, and Chapter 7: The War on Drugs. All other chapters cover similar topics in both books, but with the senator’s fresh insights for today’s world. Each chapter ends with how the National Initiative, once enacted, could help solve the problems presented in that chapter. The Table of Contents is as follows: Chapter 1 – Now It’s the Citizen’s Turn Chapter 2 – The National Initiative Chapter 3 – America’s Failure in Education Chapter 4 – Tax Reform – The Fair Tax Chapter 5 – The Health Security System Chapter 6 – National Environmental & Energy Policy Chapter 7 – The War on Drugs Chapter 8 – Crime & Punishment Chapter 9 – The Shroud of Secrecy Chapter 10 – American Imperialism Chapter 11 – Global Governance Chapter 12 – Who Stole the American Dream? All three customer reviews give the book five stars. There is a “look inside the book” feature, and based on that material and given that it was originally written in 1971, then updated recently, I don’t think there is any real question whether Senator Gravel is a libertarian. Based upon his statements in that book, it appears that he was a libertarian even before there was a Libertarian Party. Those who still want Mike Gravel’s original Citizen Power, but can’t afford to pay over $200 for the few rare copies that are available, will be pleased with the new Citizen Power: A Mandate for Change. In some chapters, Senator Gravel has incorporated substantial excerpts from his original book and then updated his thoughts on each issue, often admitting that his position on a certain issue in the 1970s was naive and that he now views that issue with a mature mind. This is a refreshingly candid look at a presidential candidate’s positions on key issues facing the American people today. Most importantly, however, is Chapter 2 and supplemental appendices about the National Initiative, which Senator Gravel and some of the nation’s top constitutional scholars crafted to empower citizens as lawmakers; after all, lawmaking is the cornerstone of democracy. All subsequent chapters address how the National Initiative for Democracy (NI4D)would work to alleviate problems, such as healthcare and education. An eloquent and lucid political manifesto by an increasingly refreshing, honest and prudent politician. Citizen Power showcases a myriad of power-to-the-people proposals, and sways from your politics as usual demagoguery, while Gravel’s prose is filled with solemnity and earnestness, contrary to his political opponents. The book’s motif is the National Initiative for Democracy, a populist program that will enable ordinary citizens to become legislatures, moreover eliminating large bureaucracies and big government lapdogs. Gravel’s proposals on education is most interesting, and offer an ingenious subsidiary, if utilized in orthodoxy, to our failing educational system. The War on Drugs chapter was dismaying at least, and produced a sharp contempt for the activities our government continues to perpetuate. I have probably forgotten important topics of this book, and my review is ultimately asymmetrical and lackluster. I can only recommend this fine book, so you can make your own judgments and discoveries. Senator Gravel was kind enough to state that, if any of our readers have additional questions, I can phone him again to get those answers. Therefore, if you have any questions which aren’t answered here, post them and in about a week I will give him another call to get your answers for you.